Lately I’ve been getting more and more into audiobooks (shout out to my local library who has an amazing audiobook platform and collection!) and at this point I’m almost listening to one a day. 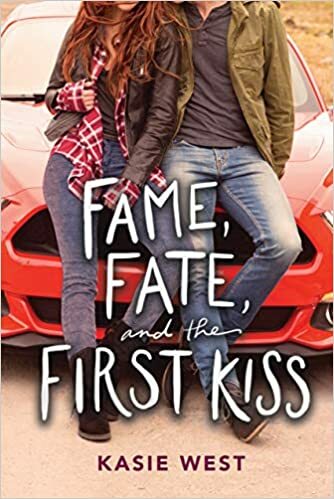 At the rate I’m listening, I often just have to pick from any title that doesn’t have a waitlist, and Fame, Fate, and the First Kiss fit the bill. When I read the description, it reminded me a lot of Famous in Love (which was not one of my favorite books) so I hoped I had found a better version of that story. Unfortunately, this book is even poorer in its execution of the ‘small-time teen actress gets a major role across from a major teen heart throb’ story. Fame, Fate, and the First Kiss follows Lacey Barnes as she begins to work on her first ever major motion picture. She’s got it set: it’s an adaptation of a popular book, she’s in a leading role, and her costar is one of the biggest actors on the planet. There’s only one problem: her dad is overbearing and has set her up with a tutor to help her balance shooting and school. Things start to go sideways when she finds herself getting framed for mishaps on set, putting her job on the line. As she tries to figure out who is setting her up, she has to also evaluate the importance of the people in her life and how they fit into her big screen aspirations. Continuing on my current stream of mystery/thriller books, I decided to give this book a shot after I saw the movie. In a rare twist – the movie was actually far, far better than the book. Where the movie soars with suspense, drama, and humor – this book barely scrapes by with bland characters, a much less interesting plot, and a terrible ending.